Mahacol mafbond is ready to use aqueous polyvinyl acetate homopolymer dispersion. recommended uses: it is specially developed for wood working industry i. E. For laminating decorative laminates, furniture joining, cabinet making etc. 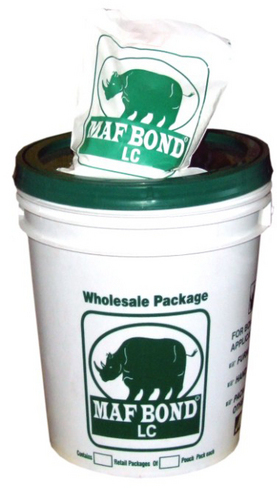 packing: mahacol mafbond lc is available in the following packings. 1kg pouch, 5kg, 10kg, 20kg, 50kg. Nikhil Adhesives Ltd, a listedcompany with the Bombay Stock Exchange is a multi product company manufacturing various types of polymer emulsions for different industries and is in this business for nearly 20 years. It has plants located at Dahanu(Maharashtra) and Silvassa (Union Territory).The Company had acquired the emulsions business of M/s. Mafatlal Dyes & Chemicals Ltd. in hte year 2009-10 is estimated to be Rs.1300 million. Nikhil Adhesives Ltd. has a well equipped laboratory to develop products for various application and is committed to manufacture products at affordable prices of its customers. The company believes in constantly upgrading and introducing new products to meet the ever growing needs of the various industries. The company's products are well accepted by the industry and with the ever growing demands, a third plant to augment the manufacturing capacity would be commissioned in the near future Nikhil Adhesives Ltd,besides manufaturing polymer emulsions is also in the buisness of indenting and marketing of bulk raw materials. The company is also diversifying and expanding its activities in other areas,but all under the umbrella of. Nikhil Adhesives Ltd.which should strengthen the company. The company philosophy to improve'the quality of life for all',stems from the strong belief and desire to make best use of the available resources,minimise pollution and provide value addition to the products so as to give the optimum benefits to the customers and society at large.